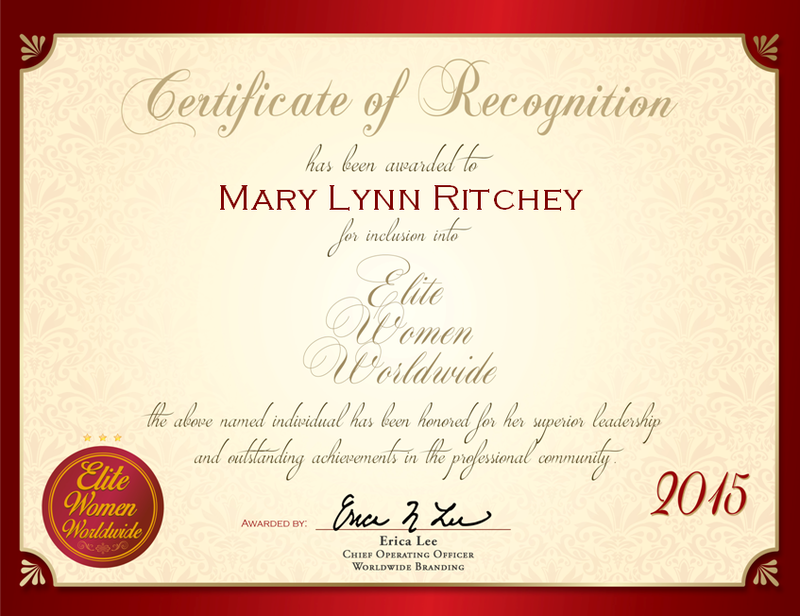 Paxton, MA, October 12, 2015, Mary Lynn Ritchey, Professor Emerita at Anna Maria College, has been recognized by Elite Women Worldwide, for dedication, achievement and leadership in education. With unparalleled expertise in her field, Ms. Ritchey lent many years of industry knowledge to her role as a professor with Anna Maria College. She started out in life wanting to be a performer, as she was training as a classical singer. Her life took a turn however, when she became a nun and was assigned to teach on an Indian reservation. It was at that time that she saw the importance of education and became a teacher. She is now certified to teach kindergarten through 12th grade in music, English, and social studies. Ms. Ritchey excels in her field because of her educational background and her prior industry experiences as a coral conductor and director of music education. During her spare time, she volunteers her time with the National Audubon Society, Sierra Club, Humane Society, Doctors Without Borders, and many others. In the coming years, Ms. Ritchey intends to reflect on her work, read more, and spend time with her friends and family.